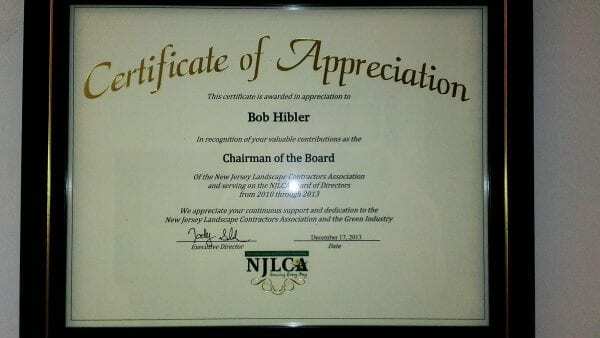 On December 17th, 2013, the NJLCA Recognizes Bob Hibler of Gamka Sales with a Certificate of Appreciation in recognition of his valuable contributions as the Chairman of the Board of the New jersey Landscape Contractors Association and serving the NJLCA Board of Directors from 2010 through 2013. Gamka Sales is proud of Bob Hibler and his tremendous dedication to helping an association that is focused and committed to Landscape Contractors throughout New Jersey and the Green Industry as a whole. Gamka Sales Co. Inc. sells and rents construction equipment to contractors and municipalities. We provide Husqvarna outdoor power equipment and products to landscapers, contractors, tree surgeons, property managers, arborists and homeowners for their lawn, shrub, garden, and tree maintenance requirements. 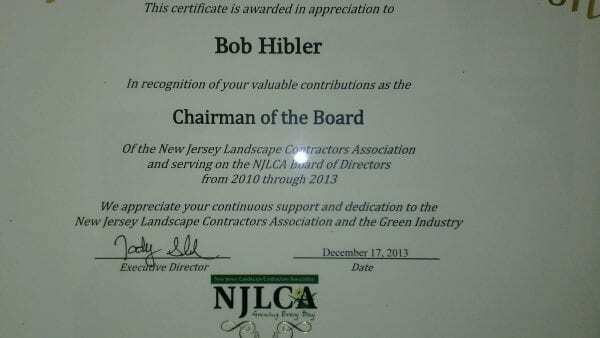 The New Jersey Landscape Contractors Association is a group of professional landscape contractors dedicated to advancing the integrity, proficiency and continued growth of the landscape industry. As an NJLCA member you receive valuable information and benefits indispensable to the ongoing success of your business. The NJLCA is a proven resource to both the landscape professional and consumer. As members, qualified landscape contractors offer a variety of services from planning and design to installation and maintenance which are oriented to the needs of each client. For more information on this great association or to join please click here.